Navlakha's counsel Yug Chaudhary on Monday told a division bench that he was an author and peace activist and was a specialist on conflict zones. 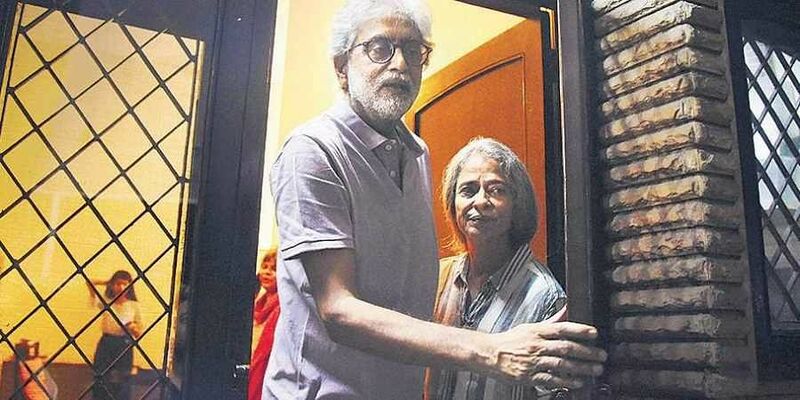 MUMBAI: Civil liberties activist Gautam Navlakha Monday told the Bombay High Court that he was in contact with Naxals only for research and his books and asked how this contact can attract provisions of the Unlawful Activities Prevention Act. Navlakha approached the high court seeking to quash the case lodged against him by the Pune Police after the Elgar Parishad held on December 31, 2017, that had allegedly triggered violence at Bhima Koregaon in Pune the next day. The police had accused Navlakha and four other activists of having Maoist links. Navlakha's counsel Yug Chaudhary on Monday told a division bench of Justices Ranjit More and Bharati Dangre that he (Navlakha) was an author and peace activist and was a specialist on conflict zones. "He was in the past appointed as a mediator by the government of India when Naxals had kidnapped six policemen. He is in contact with Naxals but that is only for his books and other fact-finding researches. How can this contact attract provisions of the UAPA (Unlawful Activities Prevention Act)," Chaudhary said. The bench has posted the petition for further hearing on April 26. The court also extended protection from arrest granted to Navlakha till the next date of hearing.